These are the 10 most famous fairy tales, the best classic stories for children: Blue beard, Cinderella, The little red riding hood, The master cat or Puss in Boots, The sleeping beauty in the wood, Hansel and Gretel, Rapunzel, The wolf and the seven little kids, Tom Thumb and The Youth who went forth to know what fear was. Fairy tales ignite the imagination and help children dream. 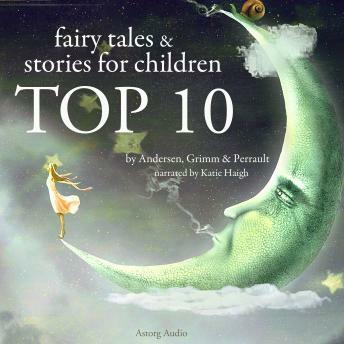 "Fairy tales TOP 10" is a selection of the most inspiring and powerful classic tales.